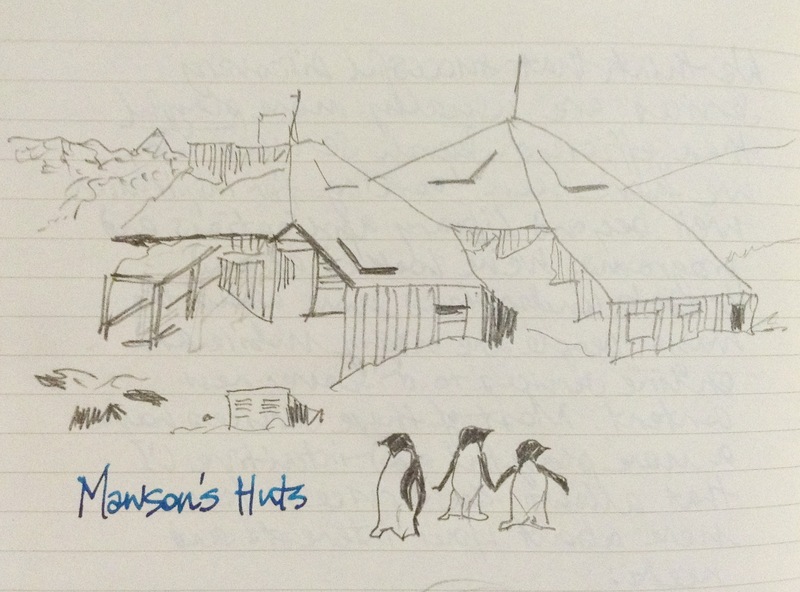 THETA13 kicked off for me with a great illustrated talk about Sir Douglas Mawson and the restoration of his huts in the Antarctic by David Jensen. I was inspired to try to draw the huts (under snow) from a photo I found online. We should all know more about him.